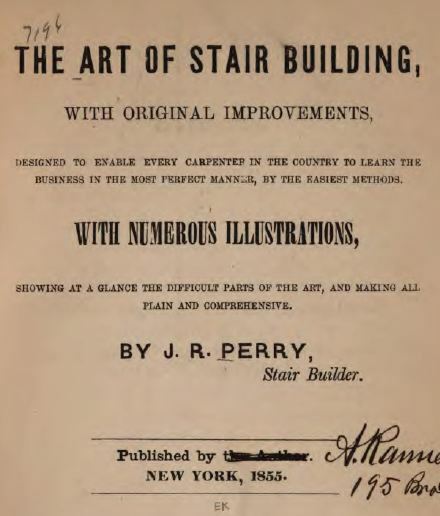 From the numerous works already published on the subject of woodworking, and of stair building, it might seem useless to add another. But the feeling form the nature of those that were before the public at the time demanded something more concise and yet complete in itself, containing the latest improvements as well as introducing much which was entirely new and original at the time. This was a real specific wood working book at the time of it's printing. A real old school encyclopedia.